This past weekend my wife and myself rolled up our sleeves, dug out the borrowed cook books from the local library and tried some new dishes and a recent faithful recipe. 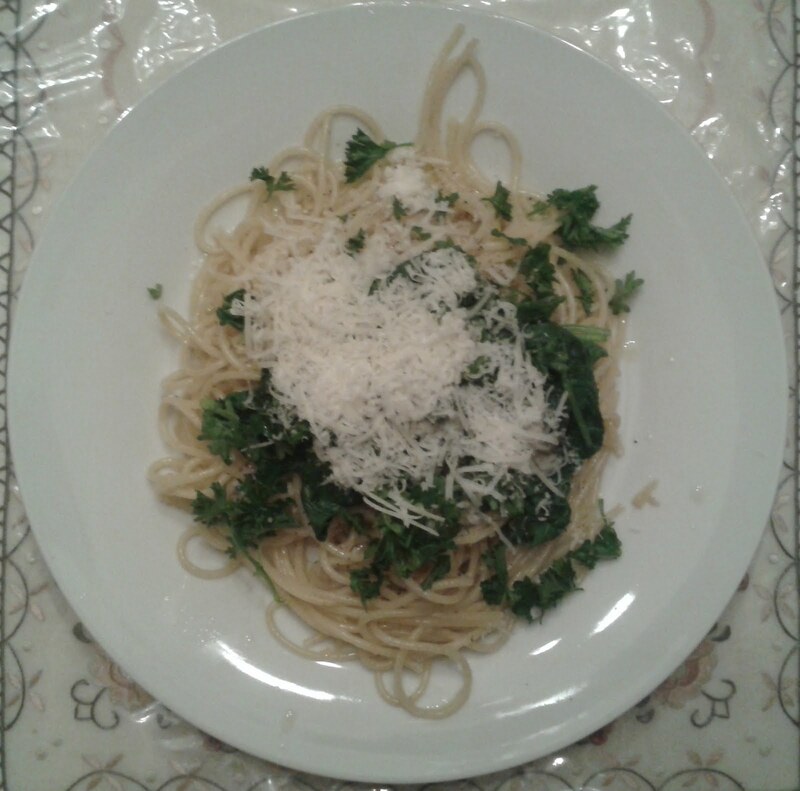 First up was the Spaghetti with Olive Oil and Garlic. We even took put our own little spin on the recipe and added some boiled spinach. The dish, as you can see - and we tasted - was quite delicious. Next up was an old favourite of both myself and the coniseur of cookies. The one and only chocolate chip cookie. 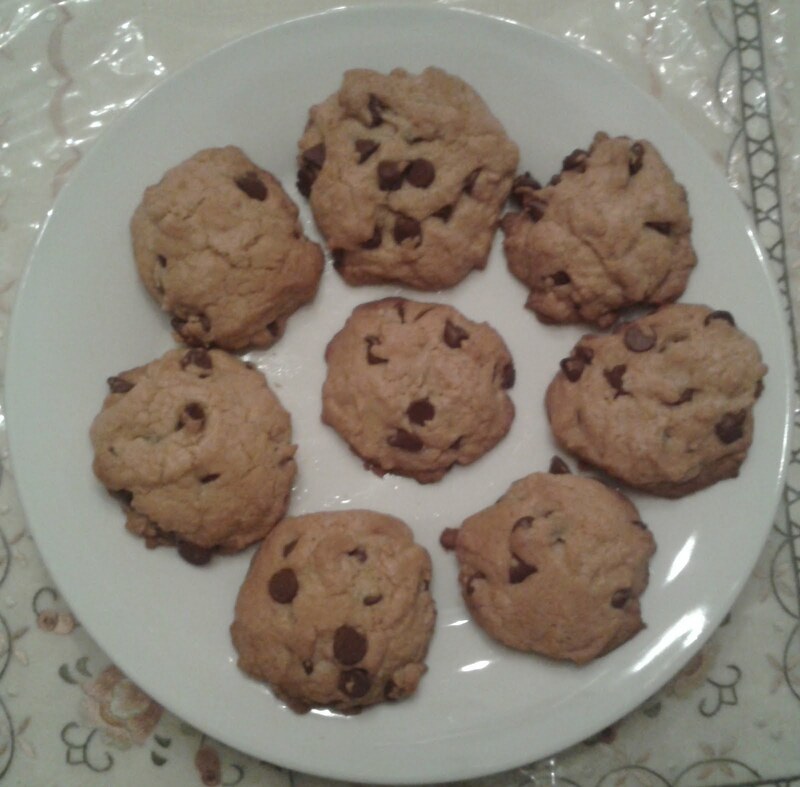 This one also turned out fairly well except that we did not buy enough chocolate chips from Bulk Barn for the recipe so there may not have been enough chocolate chips per cookie quotient in the end. Why Bulk Barn? Because you can purchase just enough ingredients for your new found recipe and if you do not like the results in the end, at least you are not stuck with more of the same ingredient with no use. Finally the old/new standby recipe, the Artisan Bread which I previously made two weeks ago. It also turned out fabulous. Hopefully there will be more of all of the above recipes in my future. My stomach already thanks me!